No two great CEOs are the same. Each company will have specific needs, respond differently to market changes, and will require its own style of leadership. But there are some characteristics that all good CEOs seem to share, particularly when faced with challenging market conditions and changing investment environments. It goes without saying that CEOs must be good leaders; the best do more than shepherd their team towards goals, they inspire and motivate them to achieve and accomplish more. But even within the parameters of leadership, CEOs have each found their own persona. Some are charismatic showmen, while others are full of quiet determination. There is no recipe – it comes down to personal skill. The last few years saw many paradigm shifts in the business world. With enduring crises in the US and Europe, companies have increasingly turned to emerging markets in Asia, South America and Africa to expand their businesses and create opportunities. It has taken exceptional leadership skills – particularly the ability to predict and understand emerging trends – to survive. Many didn’t. Expanding into new markets is always a challenge, but when well managed, it can mean unprecedented success. But markets have been rocked by more than the financial meltdown. Changing consumer habits have also been challenging classic business models and forcing CEOs to innovate when it comes to strategy. Consumers are increasingly looking for banking, shopping and learning services to be delivered online, and this has led companies to reassess how they conduct their business. Not only are people spending more time online, it is no longer sufficient to simply provide information; consumers want to interact. Some CEOs have taken it in their stride and have reaped the reward of integrating new aspects – such as crowdsourcing and global marketplace ideas – into their business models. Changing perceptions on environmentalism are also affecting the ways organisations must do business. Companies are under increasing pressure to adapt and become more environmentally friendly and make their practices sustainable. Recycling, energy conservation and curbing carbon emissions are now vital considerations for any company. We live in an age when it isn’t enough to simply paint oneself with an environmentally friendly image, and some of the most forward-thinking CEOs have been tackling these challenges. Perhaps the most important skill a CEO must possess is an ability to address all the challenges that might arise: the ability to see around corners. The most successful CEOs of our time have been able to spot market changes a mile away and adjust their business models in order to compete. It is this single characteristic that unites all those featured in European CEO’s list of the best leaders of the year. It may be the single most-valuable trait a company leader can have, as they will be able to mould their companies into stronger, more resilient enterprises. Before joining Sberbank, Herman Gref served as Russia’s Minister of the Economical Development and Trade from May 2000 to September 2007. Since he left office, he has been at the helm of Russia’s state-run Sberbank. The bank – one of the largest in Russia – is now expanding across Europe. It already operates a number of smaller brands in countries including the Ukraine and the Czech Republic but it started trading under the Sberbank banner this March.Gref is a forward-thinking CEO, who is helping to reshape Sberbank’s image to appeal to Russia’s young population. He has led a two-year period of growth – with profits surging 74 percent in 2011 as the bank recovered from the effects of the financial crisis. 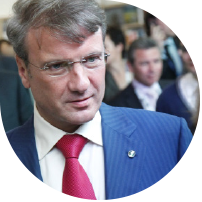 His considerable experience in politics has led to him developing sophisticated skills in negotiation – creating a better regulatory environment for Sberbank and the industry.As a minister, Gref was considered one of the leading liberal economic reformers during President Vladimir Putin’s first administration. He was one of the foremost advocates of Russia joining the World Trade Organisation, and created a stabilisation fund the government could use to ward off adverse economic conditions. As well as being a vocal supporter of Russia’s membership of the Organisation for Economic Co-operation and Development, Gref has been an advocate for greater transparency among Russian banks and repeatedly cited “corruption” as the biggest problem facing the country today. Gref has strived to apply these ideals to the running of Sberbank and its affiliates. The foreign exchange industry is growing fast and changing in nature. Widespread use of mobile internet devices has allowed traders to engage in more and faster transactions, while clients from developing regions around the world have become increasingly significant. Markos A Kashiouris is the co-founder and CEO of IronFX, one of the fastest growing online trading companies in the world. His background in finance and accounting has given him the expertise to run a complex multinational company and make it stand out in such a competitive field. Since launching IronFX in 2010, Kashiouris has extended his business presence across the world, with offices in several cities including New York, London, Warsaw, Moscow, Shanghai, Montevideo and Sydney. With the FX boom, genuine and strategy focused businesses like IronFX have had to compete with traditional type online operations. Furthermore, Kashiouris has made transparency the first order of business. The company is regulated by ASIC and CySEC, adheres to the Markets in Financial Instruments Directive and is scrupulous about all aspects of its business. It was also his decision to work with the best class external auditors, KPMG and Ernst & Young. Kashiouris was among the first to implement a new customer-centric and service excellence model. The main aim of the model is to provide clients with the best trading environment, timely promotions, the most competitive and widest variety of products, all executed seamlessly. 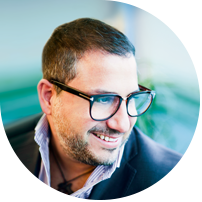 For Kashiouris, these are the main elements behind the frenetic rise of IronFX to the top of the global online trading market. Jeff Bezos is not only the charismatic individual behind online retail behemoth Amazon, he is also one of the most competent CEOs in terms of shareholder returns. Under Bezos, the company has delivered industry-adjusted shareholder returns of 12,266 percent and its value has increased by $111m. 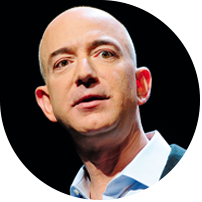 Bezos’ aggressive expansion strategy has seen Amazon enter new markets and invest heavily in cloud computing services. The strategies employed by Bezos have led to staggering returns for shareholders and propelled him to number two in the Harvard Business Review’s list of the top 100 performing CEOs in the world – second only to the late Steve Jobs. Under Bezos’ leadership, Amazon has become a shopping cornucopia, which has developed a plethora of products. Bezos has also instigated a move towards Amazon becoming the first site to offer a complete online storefront for any retailer. this means Amazon often has the widest variety of stock available, but without shouldering the warehousing and inventory costs. Because of its Kindle business, Amazon is now one of the world’s largest publishers. Bezos spotted the trends in publishing and invested heavily in the Kindle; today, the company’s Kindle Fire continues to take market share from the Apple iPad. Bezos’ biggest asset as CEO is his ability to see the tides changing and realign his company to face the oncoming wave. Amazon has been able to continue growing but has avoided head-to-head competition – mostly because its retail solutions capture customers through innovation. José Antonio Fernández Carbajal has been the CEO of FEMSA for the better part of two decades, and the largest beverages company in Latin America has thrived under his stewardship. FEMSA ended 2012 with consolidated total revenues expanded by 18.2 percent and income from operations grown by 19.4 percent from 2011.Having joined FEMSA in 1987, Carbajal became general director and CEO in 1995. 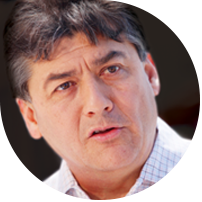 He has led the company to form strategic partnerships with the world’s leading brands, such as Coca-Cola.Carbajal established Coca-Cola FEMSA, which distributes the soft drink in nine countries in Latin America. The partnership recently expanded overseas by acquiring controlling stakes in Coca-Cola bottling operations in the Philippines. 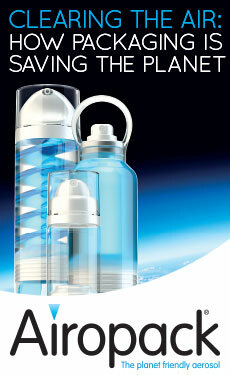 It now bottles and distributes over 100 beverage brands around Latin America. FEMSA owns the second largest stake in Heineken, and also has its own chain of convenience stores – OXXO – spread across Latin America. Under Carbajal, FEMSA has evolved from a successful Mexico business into an international powerhouse with no signs of stopping. The company has enjoyed 10 years of double-digit revenue growth, and ended 2012 with revenues of over $18bn. 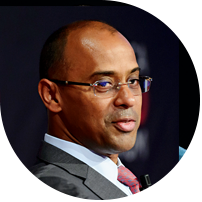 Before joining Ecobank in 2011, Thierry Tanoh was Vice President of the IFC and a member of the World Bank Group, where he had worked for 17 years. Ecobank and IFC have long since been partners and the commercial bank even received IFC’s Client Leadership Award in 2009.Ecobank is a pan-African bank with branches in 32 countries. Sustainability is at the core of its business model; the bank believes it is a key to the social-economic development of the continent. Tanoh has driven Ecobank’s success through a commitment to the sustainable development of the economies in which the bank operates. Tanoh has a unique understanding of the Africa’s needs from his time at the IFC, as well as experience in Asia, Eastern Europe, and Latin America (he moved to Rio de Janeiro in 2001).While at the IFC, Tanoh expanded investment activity into Sub-Saharan Africa from just $140m in 2003 to $3.5bn by 2011. He became CEO of Ecobank at the beginning of this year, after a six month transition period. Ecobank had revenues of $1.2bn in 2012, up from $900m the year before. The bank reserves part of its operations for providing financial assistance to companies, small and medium-sized enterprises, and micro-financing institutions all over the continent – something Tanoh is expected to continue during the course of his leadership. Carl Sheldon has been the man in charge of the Abu Dhabi National Energy Company (TAQA) since 2009, when he was promoted from his previous role as General Counsel and Deputy General Manager. It is a crucial moment for TAQA; the largely state-owned energy company controls seven of Abu Dhabi’s biggest power plants and, as the country’s energy needs rise, so do opportunities for growth. Sheldon started his career as a lawyer specialising in the energy sector and has been involved in a number of high profile projects in the US and Europe. He was appointed CEO to deal with an ever-increasing amount of short-term debt and a confused strategy that relied on assets scattered around the world. TAQA is unusual because it produces electricity and desalinated water on one front, and explores Abu Dhabi’s oil and gas on another. For Sheldon, the unusual diversification acts as a hedge and stabilises revenues. He has been eager to expand the business globally, using the government connection in Abu Dhabi to help grow externally. To date, TAQA’s portfolio includes assets in 11 countries, worth over $31.2bn. Sheldon says: “Our ability to trade as a government-related entity of the Emirate is probably the single and most valuable asset in doing business in the rest of the world.” TAQA has grown through a number of strategic acquisitions across Europe, Asia and Africa. It recently acquired an exploration block in Iraq and several North Sea assets. In January, Sheldon signed the second-largest Arab investment deal in Turkey when he agreed to invest $12bn in the country’s coalfields. Chung Mong-Koo, the son of founder Chung Ju-Yung, assumed the helm of Hyundai Motors in 1999 when the conglomerate split. Since then, Chung has transformed the business into one of the world’s largest automobile manufacturers. The Hyundai Motor Group has grown into a conglomerate in its own right, with dozens of companies under its banner – including Kia – making it the second largest corporation in South Korea, after Samsung. Between 2001 and 2011 Hyundai’s market share in the US’ competitive auto industry grew from three percent to over 10 percent. Though the market faced a tough environment in 2012 – with the European crisis affecting demand – Hyundai was able to overcome challenges and beat estimates in China and even Europe. Chung has overseen enviable growth in the company; Hyundai Motor Co and Kia Motor Corp now enjoy operating margins of 10.9 percent and 8.9 percent respectively. The company benefitted from anti-Japanese sentiment in China, but it was its new i10 minicar that it helped it grow its business in Europe despite the tough climate. Chung’s leadership has meant Hyundai is an unusual auto manufacturer; in an age of outsourcing, it is the only car company to that has an in-house steel mill that produces all the steel plates used in its cars. 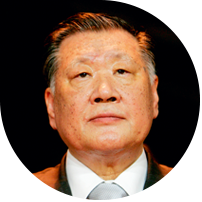 Chung is South Korea’s second richest man, largely due to his personal investments in Hyundai. During his tenure as CEO, shareholder returns have exceeded 2,000 percent as the company’s market capitalisation soared over $48bn. Grant Alfred King is managing director and CEO of Origin Energy, Australia’s top energy provider The company carries out gas exploration and production, and operates an extensive energy retail network in Australia, New Zealand and the South Pacific.In New Zealand, Origin operates through Contact Energy – of which it owns a 52.8 percent stake – and King is the company’s chairman. King has also led an expansion drive into new markets: there has been exploration in Botswana, Kenya, North East Thailand and Vietnam; and new renewable energy opportunities in Chile, Indonesia and Papua New Guinea.King’s career has seen him work his way up from General Manager of AGL Gas Companies. 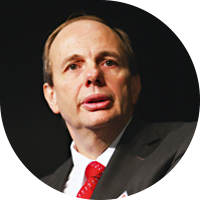 In 1994 he was appointed Managing Director of Boral’s Energy subsidiary. In 2000, he demerged the company to create Origin, which he has led since. 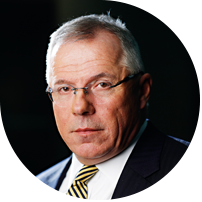 A heavyweight of the industry, he has also sat as a councillor of the Australian Petroleum Production and Exploration Association, and been chairman of the Energy Supply Association of Australia. Under King’s leadership, Origin has been rolling out smart grid technology in Australia, reducing waste and devolving control of energy consumption to clients. He has also been keen to commit to a number of green energy initiatives, delivering more sustainable energy to customers through the company’s GreenPower and GreenGas offerings. King has also grown the company’s portfolio of power generation, which includes a number of lower-emission plants, wind farms and geothermal facilities. 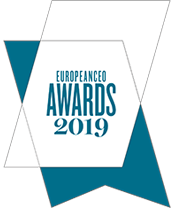 The European CEO awards 2018 have now been announced, presenting our pick of the CEOs, companies and campaigns leading their sectors. View the winners here or browse the supplement in your browser or on your mobile device.